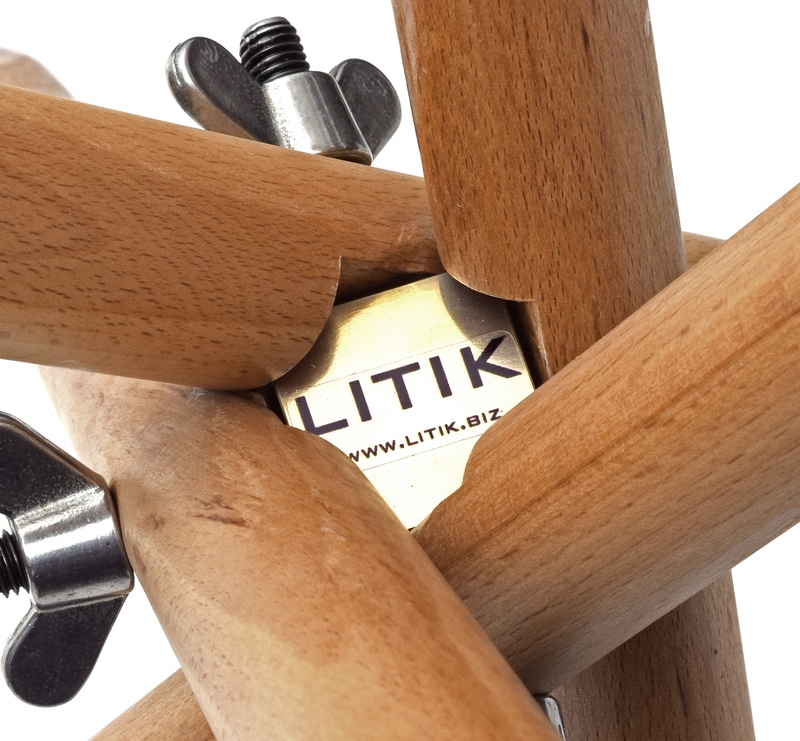 Litik baroque timpani stands are based on the same principals that have offered optimal strength and portability for centuries. 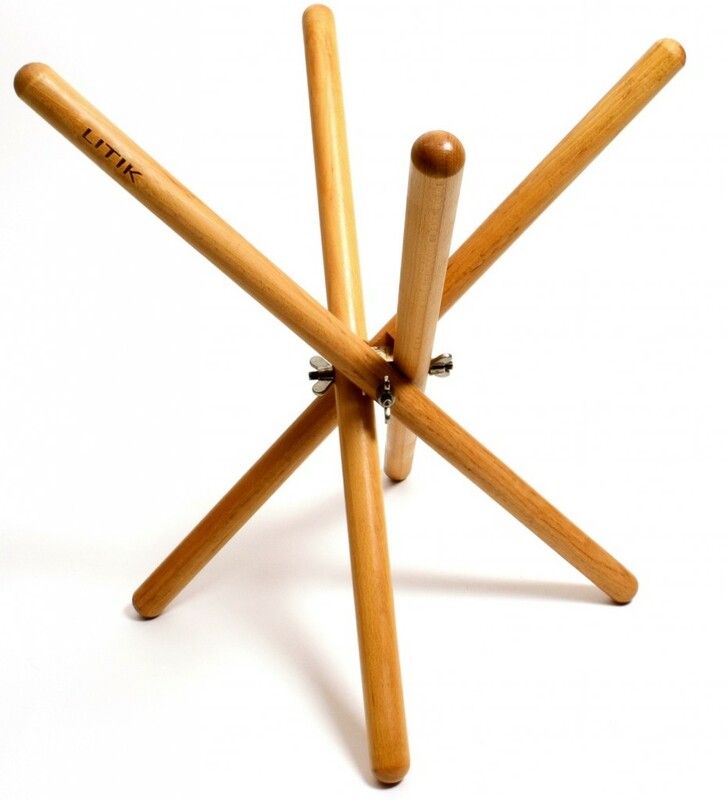 The stand is adjustable to suit larger drums that need to be played at a low height or can be raised so that even the smallest of timpani can still be played while standing. Litik stands feature a “centre block”, below, that maximizes strength and stability while helping the 4 legs stay in balance. Beech wood legs, with extra large wing nuts: suited to all sizes and weights of kettles.